Recently I had the pleasure of being a guest at, well, Be Our Guest for both lunch and dinner service. With dinner reservations already booked solidly until June, we’ll talk about that meal another time. Today, however, we are focusing on the meal that everyone can gain access to without an ADR, the quick service lunch at Be Our Guest. As it is different than any other quick service location in Walt Disney World, let’s start off by looking at the process. There isn’t an official queue for Be Our Guest, but families started lining up at 9:30am for the 10:30am opening on the day that we were there. We hoped in line at about 9:45am. Once open, they send several groups in at a time, which make their way along the corridor with the enchanted armors, to the library, where each group is sent to a touchscreen terminal. Here you place your order, pay, and are given an enchanted rose. 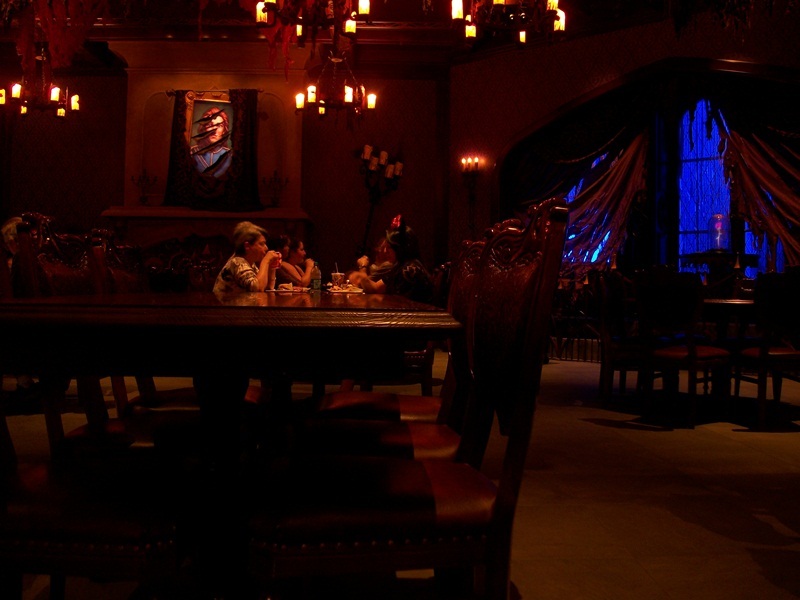 You make your way to a table in any of the three dining rooms, place your enchanted rose on the table, and then you are free to explore the castle. When you return, your food will be waiting for you. As we were one of the first couple of families to order, I meals arrived in short order, so we saved most of our exploring for after we had eaten. For our main courses we opted for the Braised Pork (Coq Au Vin Style) and the Tuna Nicoise Salad. It should be noted that when ordering the salad you are automatically given the choice of dressing tossed in or on the side. My wife always prefers to add her own dressing and being asked, rather than having to hunt for the option, really impressed her. The battle for desserts versus appetizers, as we knew we couldn’t do both at 10:30 in the morning, was handily concurred by our desire to try cupcakes. We chose the Strawberry Cream Cheese Cupcake and the Lemon Meringue Cupcake. The soda and tea dispensers are cleverly disguised along the outer walls, but are easy to use. The Tuna Nicoise Salad was, by far, my wife’s favorite salad she has ever tried at Walt Disney World. The tuna was top quality, seasoned with salt and pepper, though perhaps a bit too seasoned for some. The egg was prepared over hard and did not have a hint of green in it. The vegetables, which included beans, potatoes, bell peppers, tomatoes, and olives were all fresh, to the point that the green beans actually snapped when she bit into them. The body of the salad, a bed of mixed greens, were not wilted, as can be common in quick service salads, and did not included any iceberg as the typical salad filler. The Braised Pork was served atop mashed potatoes, with a medley of julienned green beans and hearty sections of onions, carrots, red pepper, and mushrooms. The pork itself was moist and fork tender, and strips of the pork easily peeled away from the larger segments. It was so full of flavor, there is no questioning that it was slow cooked for up to eight hours. The juices had also infused the vegetables with their incredible flavors as well. As for the potatoes, they were creamy, yet chunky, with an earthy flavor that made me wish I had more of them. As for the cupcakes, well they were both delicious too. Neither cupcake was mushy and both brought the best of their flavor spectrums. The Lemon Meringue Cupcake is not that over powering, tangy-tart lemon flavor you would expect. Rather the lemon is subtle and clean and the meringue is peaked perfectly, toasted just the right amount so as to not taste burnt. The Strawberry Cream Cheese Cupcake tasted so fresh and full of the flavors associated with a morning meal, which I would have loved to have it for breakfast, if it wasn’t so rich! 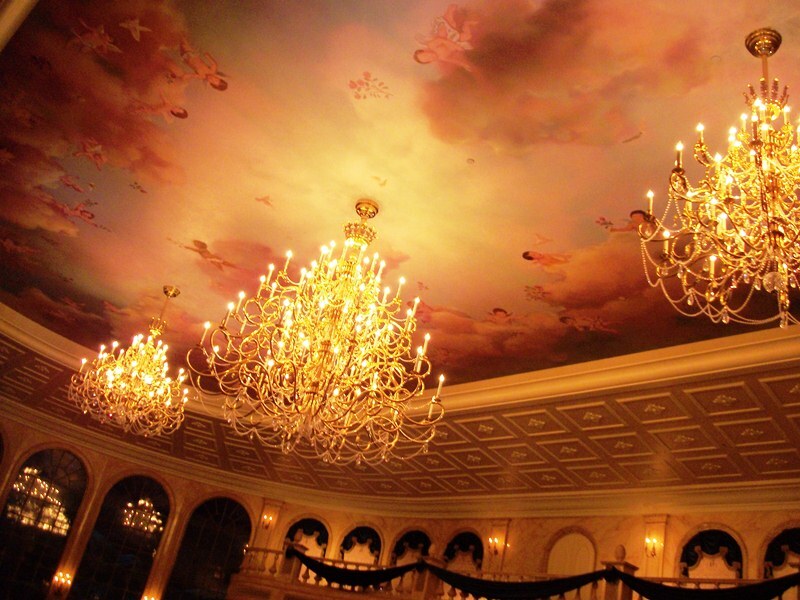 A meal at Be Our Guest is a special treat no matter if it is lunch or dinner. I thoroughly enjoyed my dinner there, and I know some people are going to disagree with me, but lunch is the real winner for this restaurant. 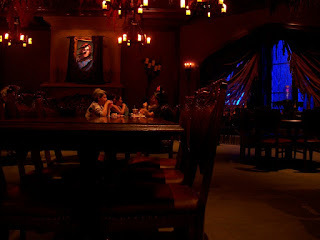 Hands down, Be Our Guest is the best quick service meal on property, and it is above many of the table service restaurants in Walt Disney World as well. Given that dinner is booking up faster than reservations can be taken, even months in advance, this lunch should most certainly be on every must eat list. It is rare that I wait in a forty-five minute line for any attraction, but I would gladly do it again for Be Our Guest’s lunch menu. It is that good.